It is through franchising that some of the world's largest and best-known brands have achieved international expansion. The business model has enabled these companies to adapt swiftly to cultural and economic differences, capitalising on the local knowledge and contacts of their international franchisees to build the brand in new markets. While the franchisor has achieved expansion faster and for a lower investment, the franchisees have become business owners and brand developers. Becoming a Master Franchisee involves taking a brand and adapting the existing business to suit a new market. 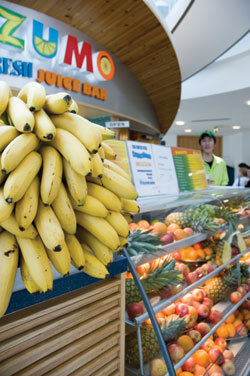 Zumo form a very close working relationship with its Master Franchisees visiting them frequently. There are three main international franchise expansion routes: A National Master Franchisee typically acquires the rights to an entire country with a view to establishing a pilot operation and then sub-franchising to single/multi-unit franchisees. Alternatively, a franchisor may choose to appoint a number of Regional Master Franchisees who also have the ability to sub-franchise. The third route is through Area Developers, who can sometimes acquire the rights to establish a limited number of sub-franchises. Deciding what kind of licence you wish to invest in will depend largely upon the capital you have available, your past experiences, skills set, and your ambitions. While specific experience is not generally essential, a proven business track record usually is. Ray Hays, Comfort Keepers' Director of International Franchising, outlines the requirements the American brand looks for in its Master Franchisees: 'Fundamentally, we search for partners with the ability to build a business on a national scale. As technology has grown more sophisticated and the global market has become smaller, providing training and support to Master Franchisees around the world has become easier. As Master Franchisee you can expect to work on your own initiative, but like single unit/ multi unit franchisees you should receive training and support as part of the franchise package. Bob Power, Comfort Keepers Master Franchisee for Ireland, relates: 'The world is becoming smaller and communication easier with email, the Internet and telecommunications. Allied with the availability of flights to the US and the infrastructure of the franchise, Comfort Keepers are there to support each Master Franchisee, which is a huge benefit.' Zumo form a very close working relationship with its Master Franchisees visiting them frequently throughout the duration of the franchise agreement. Single Unit & Multiple Unit franchisee Typically requiring a low value investment, these will usually be acquired through a Master Franchisee already established in the country. If a Master is not in place, it is rare for a franchisor to sign such agreements, as this brings the direct responsibility of providing training and support backup onto the franchisor, who may lack the local market knowledge required. There are exceptions, especially for single units located in internationalised locations such as major airports, and this process is known as direct franchising. 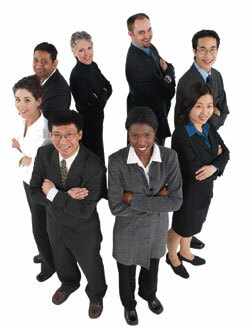 Regional Master franchisee A fast growing method of international franchising. A country will be divided into regions, for example Ireland could be divided into two regional territories, where the Regional Master Franchisees sub-franchise. National Master Franchisee In this case, the Master Franchisee takes control of the entire country and operates a policy of sub-franchising, although some corporate expansion may also take place, especially in establishing a pilot operation. Regional Corporate Area Developer Again dividing a country into regional licenses, but with no ability to sub-franchise. Development of the territory is carried out entirely through the corporate investment of the Regional Corporate Area Developer. National/Multi-National Corporate Area Developer This arrangement is reserved for large corporate entities with the investment capital to fully exploit the market(s). There is usually an agreement with the franchisor to open 'x' number of outlets in 'y' years in order to maintain the exclusivity of the agreement.